Boredoms started life in the mid-80s as some kind of crazed punk band, and the word ‘Japanoise’ has been used in relation to the sounds they’ve made since on numerous occasions. Of their early music I only own Pop Tatari from 1989, which is nuts – unintelligible (to me anyway, though I suspect even Japanese speakers will struggle to decipher it) screaming, ragged guitars, head-snapping changes of pace, direction, and texture. 1998’s Super Roots 7 is, oddly enough, the sixth in a series of experimental EPs released by Boredoms in-between and around their studio albums ‘proper’, wherein they explore new textures and ideas. 7, of the four Super Roots releases and five full Boredoms albums I’ve heard, is perhaps the most successful realization (whatever that means) of their middle phase. Which is to say, that it’s a pretty astonishing krautrock riot, 33 minutes of slashing guitars, driving rhythms, and crazed sound FX. Comprising three different versions (a 20-minute ‘Boriginal’ and two ‘remixes’) of the same song, the sleeve gives “Special Big Respect and Super Cheers” to The Mekons, Leeds’ finest punk survivors, whose song “Where Were You?” is the inspiration behind the original. It’s NOT a cover, though; if you listen to The Mekons’ original, you can detect a similarity in the thrashing chords, but Boredoms do something radically different. The first 20 minutes of the EP (the first remix and the first 16 minutes of the ‘Boriginal’) are unrelentingly rollicking and crazed, a succession of drum rolls and motorik pulses and punk guitars that continually ramps up the excitement. The final five minutes of the ‘Boriginal’ beatifically switch pace though, to a tranquil, crepuscular cicada groove, which is bucolic and serene. The final remix takes all those crazy breaks and motorik pulses and slashing guitars of the first 20 minutes and, somehow, calms them down into something pseudo-ambient, the beats now soothing and calm even when occasional bursts of jet-engine-noise spike through the mix. 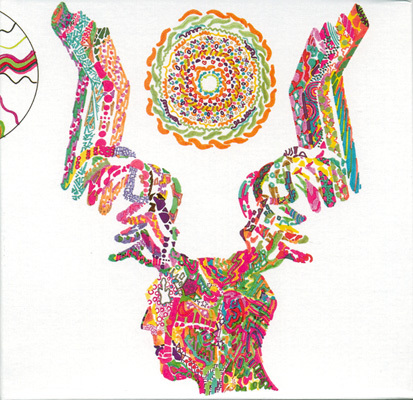 Rob listened: Boredoms and I missed each other. There was a period when I was waving goodbye to Sonic Youth and Pavement and dallying with much that was free and noisy, from Truman’s Water to Beefheart and back to God Is My Copilot, when they were right in the middle of my radar screen. Despite this, I somehow never managed to lock onto the target and, as such, they remain almost totally unexplored. This sounded unexpected and terrific, essentially striking me as a souped up freakadelic Stereolab, but without any of the annoying digressions, explorations and noodle nightmares that might have befallen it. The middle track particularly was pulsating and driven. Tom and I had fun hopelessly trying to guess which Mekons track these were based on and in the end it didn’t matter. Loved it. Tom Listened: I suppose it is what happens when listening to records that basically consist of an extended groove, but about half way through this thing really took hold and I found myself feeling the effects long after the play had finished. It was fun, energetic, slightly bonkers and totally unpretentious as far as I could tell – definitely reminded me of some of Neu’s noisier offerings (crossed with Sister Ray/Roadrunner) but I preferred it as it felt more visceral and human. Judging by the amount of wrong guesses I made regarding the original Mekons’ song, it also highlighted how many of their songs on Rock ‘n Roll (the only Mekons album I own) emanate from the same source! Graham Listened: Whacky is not a word I use lightly but seems appropriate in this case. Despite suffering the takeaway slot, this kept my interest throughout. In Jilly Goolden terms, rather than school desks and raspberries, I was tasting Hawkwind and Ozric Tentacles, at times. Great full-bodied groove.